Although Darfur only rarely makes the headlines lately, the reality on the ground there continues to be defined by profound insecurity, limited humanitarian access, impunity for perpetrators of violence, and the absence of credible human rights reporting. In recent months, the failure of peace talks in Doha has led to increased fighting throughout the region. Meanwhile, the Sudanese government has proffered a plan for Darfur that, although couched in humanitarian terms such as “voluntary return” and “development,” in fact amounts to a continued use of its political and military power to manipulate the region’s resources and ensure that displaced Darfuris remain marginalized. 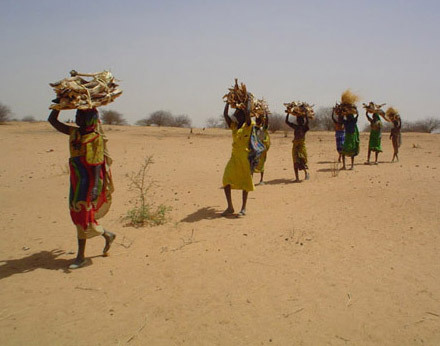 The United Nations-African Union Mission in Darfur, or UNAMID, continues to be woefully inadequate as a provider of security, and access to basic services in many areas remains well below levels prior to the mass expulsion of 16 aid agencies from Darfur in March 2009. Recent developments have done little to change the situation on the ground for the average Darfuri citizen and all signs point to a worsening situation in the near future. The Sudanese elections in April only empowered the ruling National Congress Party, or NCP, to pursue a military solution to the problem posed by the remaining rebel groups, and the Chad-Sudan rapprochement only briefly served to bring the main combatants to the table for a few months, after which the talks fell apart. The A.U.-U.N. Joint Mediation Support Team now seems primarily to be pursuing civil society engagement, which, while necessary, needs to be conducted in a more inclusive manner in order to be effective and should be viewed as complementary and responsive to a political solution, rather than as a replacement for one. In the remaining months before South Sudan’s referendum on independence, there is little doubt that international attention will remain focused on the North-South dynamic at the cost of Darfur—in fact, this has already been evidenced by the approach that international partners have taken to the peace negotiations in Doha. For most international actors, Darfur is being treated as a distraction from addressing North-South tensions in the lead-up to the referendum, even while many such as U.S. Secretary of State Hillary Clinton acknowledge that the situation in Darfur is, “dangerous, difficult, not stable.”[i] International actors need to recognize that a policy of focusing on one area at the expense of another only encourages behavior on the part of the NCP that will have negative consequences for all of Sudan. The United States and its partners should therefore refocus their attention on pursuing a political solution to the conflict in Darfur while concurrently engaging civil society at the grassroots level, and should take greater steps to both ensure the protection of civilians in the region and work towards justice and accountability. If the United States and its international partners don’t start engaging in Darfur in a smarter, more productive manner, it is likely that the ones who will pay the highest price are the Darfuris themselves. [i] Secretary of State Hillary Rodham Clinton, “Remarks on United States Foreign Policy,” Speech at the Council on Foreign Relations, September 8, 2010, available at: http://www.state.gov/secretary/rm/2010/09/146917.htm.